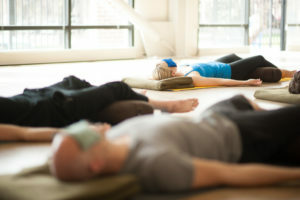 Yoga Nidra is a deeply, gentle relaxation and meditation practice. Just let go and allow your body to release, rest and relax. Come and join us for these special monthly Friday evening classes and make time to rest and restore. Reduce stress, improve sleep, soothe your nervous system and quieten your mind. Suitable for all ages and levels of experience and mobility including women in pregnancy.